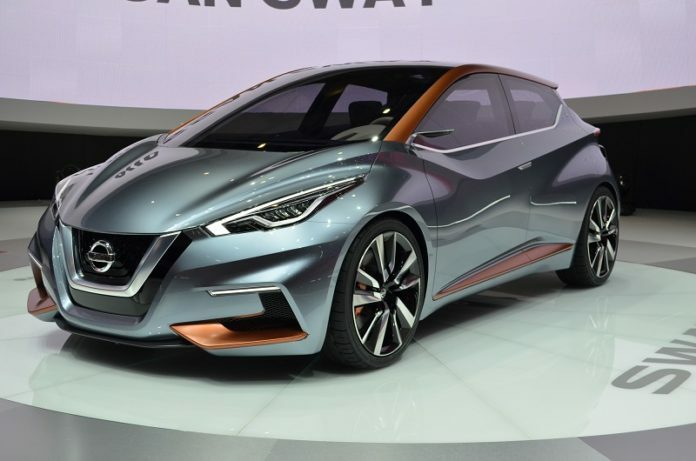 We have seen several interesting concept cars from the Japanese manufacturer in past few years and Nissan Sway concept is among the most interesting ones. Compared to common concept cars, this one already looks very production friendly. The company wanted to present a small hatchback that would enter serial production as soon as possible, of course, if the critics are good. The car has been presented more than three years ago, at the 2015 Geneva Motor Show. Since then, we are waiting to see its production version. Many reports suggested its quick arrival, according to good receptions. However, we are still waiting for the new model to come. Most likely, the company will wait for another year or two, to see how the things will end with not so demanding Pulsar. Though smaller, Nissan Sway, could be considered as a replacement, which will compete in a new, less jammy segment. When it comes to base design characteristics, there is nothing unusual about this concept. It is a subcompact hatchback, with common proportions and without any advanced breakthrough technology. 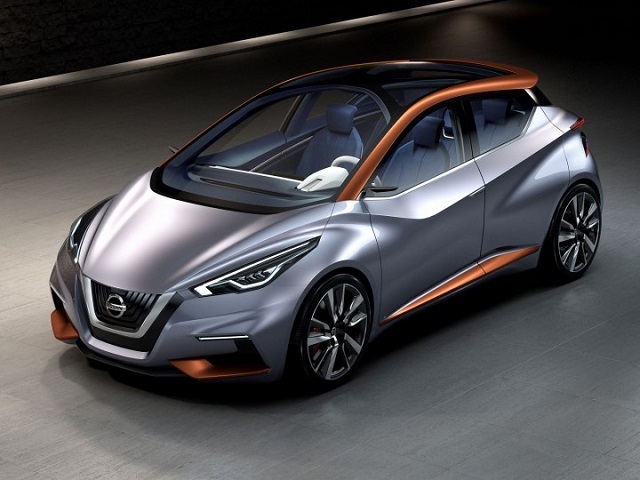 Simply, Nissan Sway concept was designed to be ready to enter serial production as soon as possible. On the other side, the thing that separates this one from the rest is styling. This concept looks very futuristic but yet stick to the company’s current design language. You can notice some of Nissan’s recognizable design solutions, such as V-Motion grille and few other things that model like new Qashqai. On the other side, there are many unique details, such as the floating roof that comes with a huge glass roof. The concept comes in a bluish dawn grey color, which combines with a lot of orange surfaces, in areas like the roof, air intakes, side skirts etc. 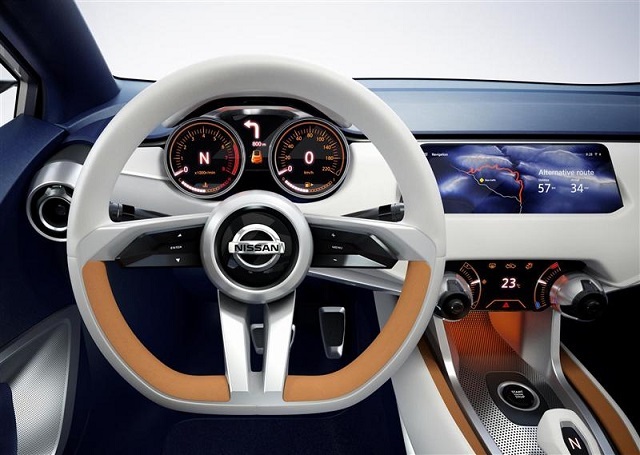 The cabin of the Nissan Sway concept looks equally impressive, if not even more. If you can find this ultra-futuristic cabin design familiar, it is because this concept takes a lot of inspiration from another concept car, iDX. The dashboard layout seems quite familiar, though with a lot of unique details. All details are pretty stylish, starting from a large touchscreen, sporty steering wheel, and instrument cluster, round air vents etc. The complete cabin features an interesting combination of blue and white. Both colors are details with their contrasts, orange, and black. Such combination definitely opens the space and makes the cabin look roomier. However, many of these design elements will probably be replaced with some more production-friendly parts, if the production model even comes. This especially refers to things like the steering wheel, round vents, color combination, materials choice etc. 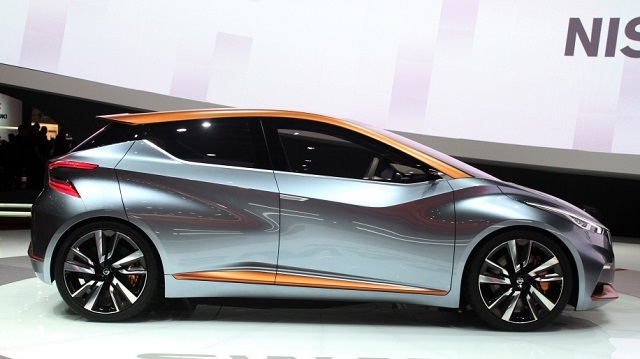 One of the interesting things about Nissan Sway concept is that the company never mentioned anything about powertrain. So, we will make our predictions. Despite such futuristic look, base models will probably rely on internal-combustion engines. There is no doubt that the company will rather focus on efficiency over performances, which indicates that the base engine could be a familiar 1.2-liter unit. This one is good for about 115 horsepower. Eventually, we could see a Nismo version, with some more powerful unit under the hood. Considering that the primary market would be Europe, diesel engine seems very likely. It should be some of the familiar dCi units fro Renault. Finally, we could see a hybrid version in the upcoming years. Three years have passed since the premiere and we are still waiting for the production model. 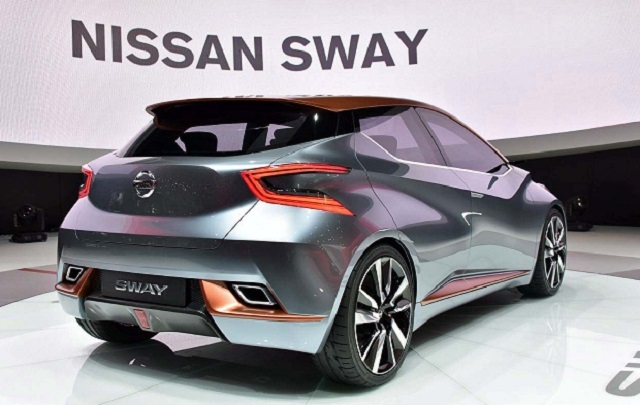 Despite such long time of waiting, we believe that the Nissan Sway has a lot of potentials, especially if we consider that the main rivals would be very conventional-looking models like VW Polo and Ford Fiesta.